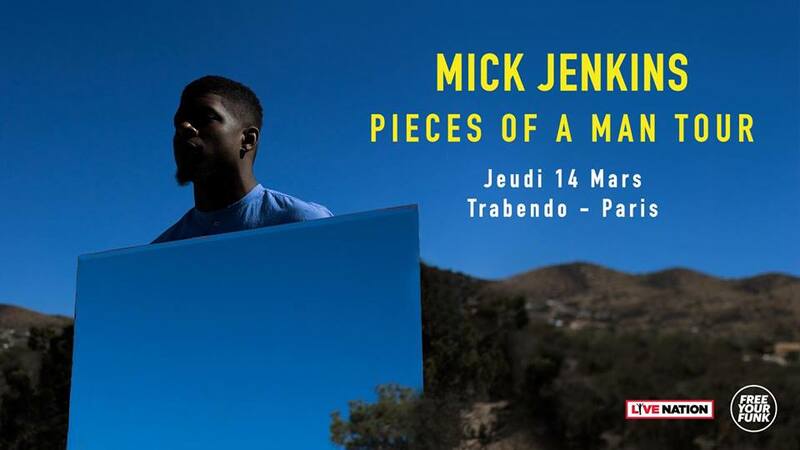 Jayson Jenkins, better known as Mick Jenkins (his stage name), is an American hip-hop recording artist born in Huntsville, Alabama on April 16th, 1991. He was then raised on the south side of Chicago, Illinois. Jenkins is a member of Free Nation, a hip-hop group that promotes creative thought without accepting narrow views imposed by the powers that be. In the spring of 2013 Mick released a mixtape entitled “Trees and Truths” that quickly became a local favorite, buoyed by acid jazz-influenced production, biblical allegory and lacerating lyricism. The project was by far his most lyrical body of work and caught the attention of Chicago’s incipient gatekeepers. A few months after its release, a collaboration with Chance The Rapper and Vic Mensa came in the form of a single entitled “Crossroads”, which was a summer hit. On August 12, 2014, Jenkins released “The Water[s]”, a project spearheaded by the release of "Martyrs”, a record that juxtaposes harsh truths about society with thought-provoking single with various underlying messages and subtle notions. Centered around the idea of comparing water to life's truths, “The Water[s]” has garnered national attention and serves as Jenkins' breakout project while receiving critical acclaim. Mick is currently fresh off the release of his debut studio debut album "THC (The Healing Component)". The Healing Component is in reference to love being a healing component and love being able to heal all.